This is the 3rd session of April Foon Ying - Hong Kong Insights. Please register by going to the 1st session on April 2. Foon Ying means “welcome” in Cantonese and the whole idea of these sessions is to embark on adventures and embrace new friendships. We welcome AWA members, both long standing and newbies, to get together and explore the SAR; to share experiences about life in Hong Kong along with the tips and wrinkles that just make it all a bit easier. 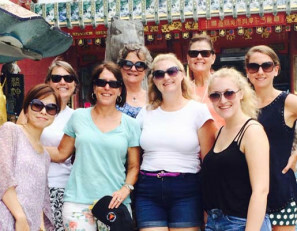 We aim to help you build your friendship circles so the program is great for both brand new “Hong Kongers” as well as those of us who have been here a while and watched our first batch of friends and contacts head home or off to new pastures. Your commitment is to attend all three sessions over a three-week period and be willing to explore new places and meet some lovely people (and possibly lifelong friends)! © The American Women’s Association of Hong Kong. All rights reserved.